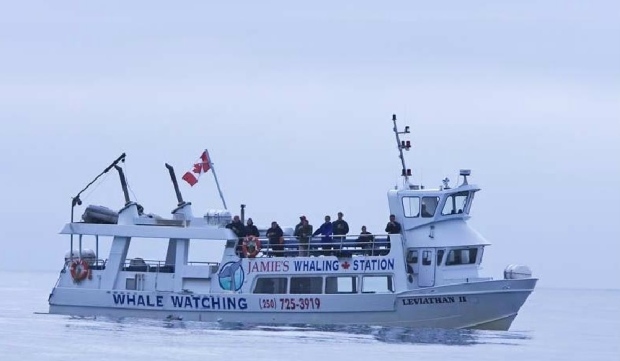 Update on Tofino whale watching incident. Posted bySaltAir October 30, 2015 November 5, 2015 Posted inMarine IncedentsLeave a comment on Update on Tofino whale watching incident. The Leviathan 2 was built for Crown Zellerback as a high speed workboat in the late 80’s. Her shallow draft and speed tend to point to use as a riverboat (Fraser Watershed.) 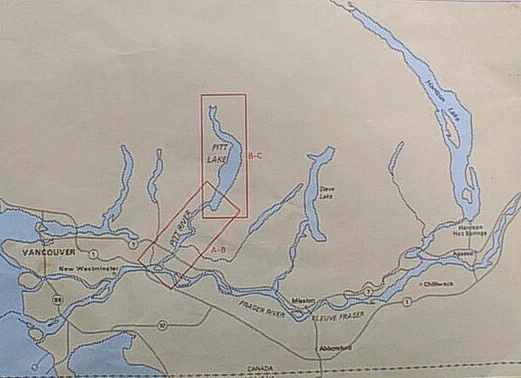 The lakes shown below are access to valleys that were full of high grade timber. The logs fed mills on the Fraser river. Also could have worked the Clayquot Sound area near Tofino. Google was unable to find any photos. My guess would be a open back deck for cargo and seating for under 12 to avoid passenger rules. No wonder stability is a issue. First off the Transport safety board will determine what happened. The crew and passengers will be interviewed. The ship will be inspected. Weather conditions will be noted. As in the majority of incedents, it will be a combination of factors. My guess is “stability” played a part. As did a “rouge” wave. Passengers have reported that “nobody saw the wave coming”. That suggests compacancy may have been in play.. It should be noted that being an “armchair” sailor is easy and easily wrong. would bring significant snowfall to parts of northern Maine. Well this one has cought my attention! Posted bySaltAir August 24, 2015 October 29, 2015 Posted inUncategorizedTags: WhyLeave a comment on Why https (SSL)?